Hi, I'm PJ. I'm currently writing the upcoming novel The Locked Room, and launched this website of the same name to share my progress, talk about some of my favourite examples of the genre, and generally avoid actually writing the book. I was born in Boston (the town in Lincolnshire, UK, not the USA version) and grew up around the UK Midlands. In 2011 I moved to Dublin, Ireland and have been living here ever since. I currently work for Google (their European headquarters is based here) and write in my free time. The BBC television series Jonathan Creek introduced me to the locked room genre. The show was slightly antiquated, subtly tongue-in-cheek, and entirely lovable. There was nothing like it around. 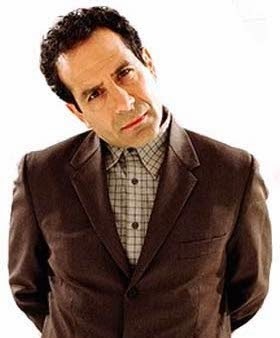 Detective shows were all police procedurals, occasionally throwing in a "whodunnit" that might warrant a raised eyebrow of surprise when the protagonist makes the arrest. They couldn't compare to the ingenious solutions that David Renwick came up with during the various JC episodes. The show often told you everything you needed to know within the first few minutes, and only managed to mask the big reveal for the duration of the episode thanks to the inventiveness of the solution. Jonathan Creek focused on the how when every other show focused on the who and why. With the exception of Monk and an episode or two of The Mentalist, there didn't seem to be any other how shows on TV (I've just discovered Death In Paradise so will be working my way through that). 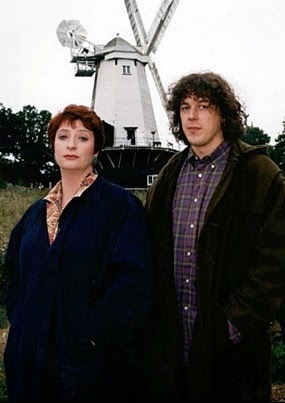 I always thought it would make a fantastic show if the mysteries of Jonathan Creek could be combined with the series-long narrative and drama of something like Breaking Bad or Dexter. Writing a book seemed more accessible than writing a TV show, and so The Locked Room was born. It didn't take long to find a treasure trove of stories I could use as inspiration. While the selection of relevant TV shows was limited, there was an entire sub-genre of literature that I had been completely oblivious to. From the late 1800's all the way through to the modern day authors had been coming up with these types of mysteries, many of which had been the original influence for David Renwick's Jonathan Creek concepts. I found that there were two distinct formats of locked room mysteries. The first, short fiction, usually involved a recurring detective that investigated a new standalone case in each story. They generally lasted about 30-50 pages and concerned a single primary puzzle, the solution to which was explained in the final few pages. The second format - novels - were fully fledged books devoted to a single case. They often featured a number of concurrent mysteries, and again wrapped everything up in the closing chapters. The Locked Room is my attempt to amalgamate these two structures. Each chapter features its own impossible crime, and also contributes to the wider narrative that continues throughout the book. I'll be posting the early chapters of the book to this site as I go. In the mean time I'll be uploading other stories that are available online for free, some thoughts on the genre, and whatever other tangents spark my interest. If you're interested you can contact me on Facebook, Twitter, and Google+, or post a comment on the site. Hello.. i'm another person that loveslocked room mystery's. I’m asking around - I’m told there are four Sherlock Holmes locked-room mysteries, including ‘The Adventure Of The Speckled Band’. Which others of Doyle’s tales would you term a ‘locked room’ mystery? Why the hell haven't you finished your book?